Place the Nutella in a small bowl and warm in the microwave at 10 second increments. Stir in-between warnings. It will take a total of 30-40 seconds to loosen the Nutella. Allow to cool slightly. In a large bowl, add the whipping cream, vanilla and cinnamon. Whip with a hand mixer until soft peaks are formed. This will take several minutes on high. Don't go too far with it, it will taste like butter. Add in the cooled Nutella and whip for another minute or two until well combined and again soft peaks have formed. Pour into martini glasses, cover with plastic wrap and refrigerate for at least 6 hours or overnight. 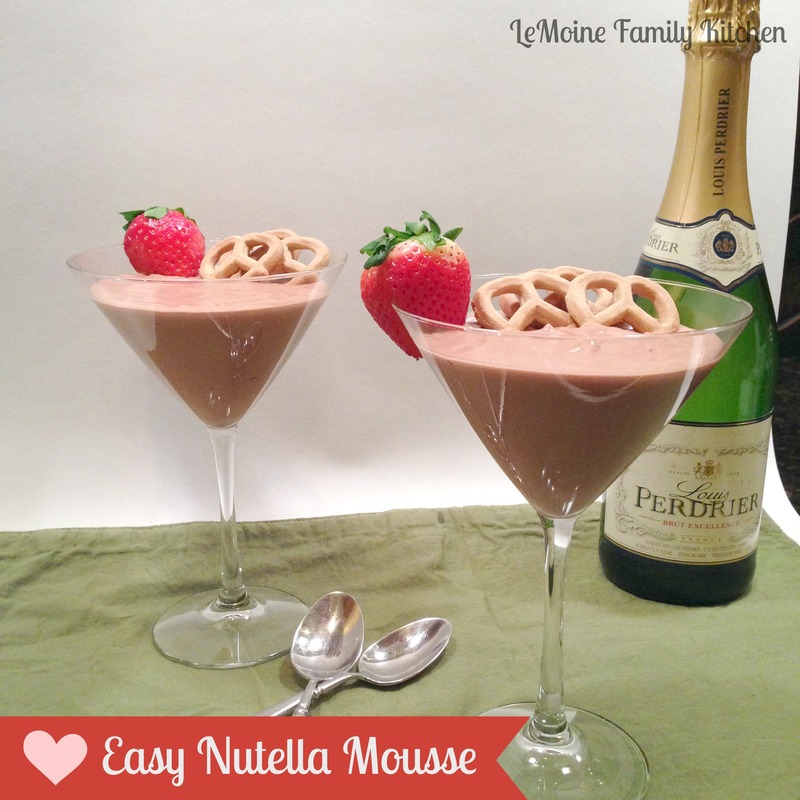 We’re going to finish off your fabulous Valentines Day meal with this really Easy Nutella Mousse. 4 ingredients, no cooking, make ahead, silky smooth light and airy deliciousness!!! Whats not to love about Nutella; chocolate and hazelnut heaven. Whip up some Nutella with cream, vanilla and cinnamon and you end the meal with a bang!!! 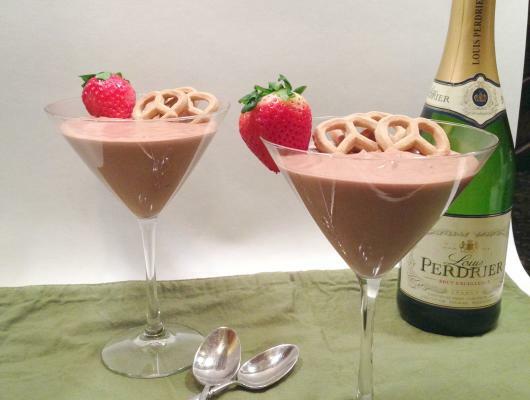 Served up in a martini glass and garnished with a strawberry and a few graham pretzels. Pour yourselves a glass of champagne, cuddle up on the couch and enjoy the evening!